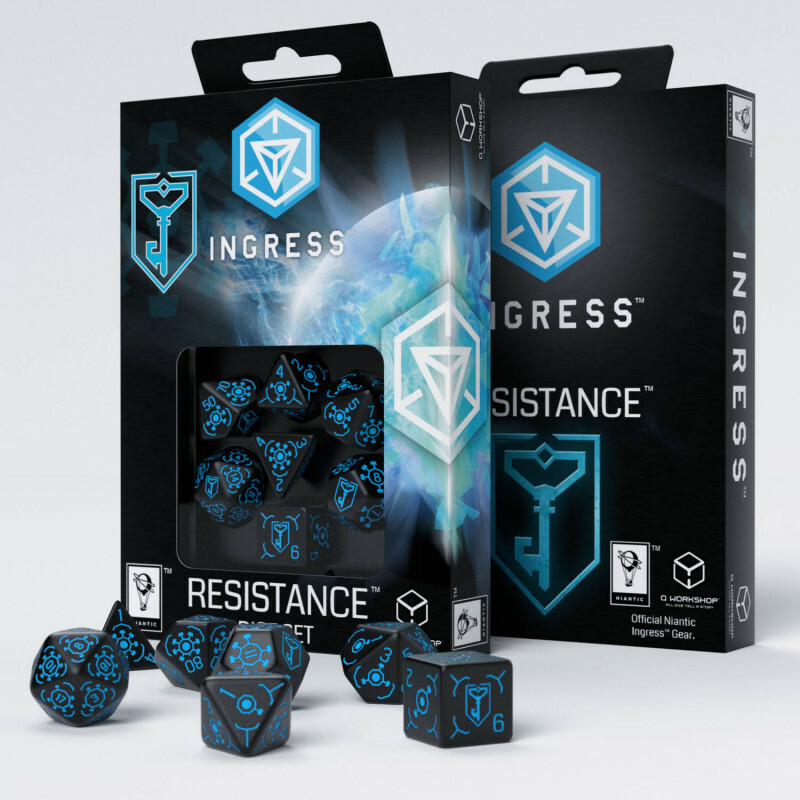 Ingress is a revolutionary project created by famous studio Niantic. 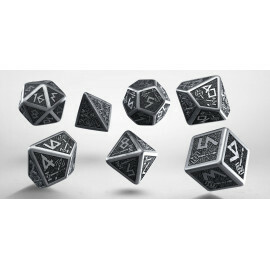 Interesting gameplay caught up hundreds of thousands of gamers all over the world. 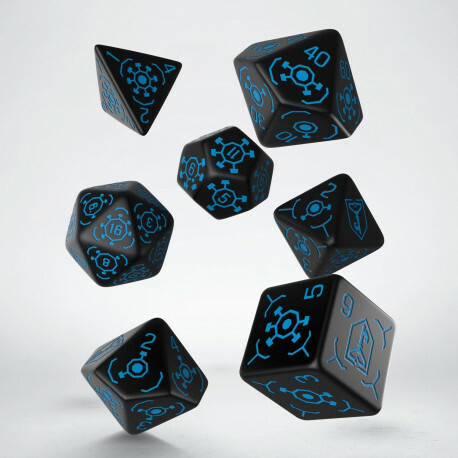 Q WORKSHOP presents two dice sets crafted in colaboration with Niantic. Each set features seven polyhedral (d100, d20, d12, d10, d8, d6, d4). 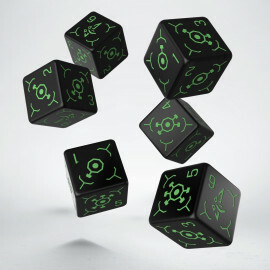 Two colours avaliable for each of the fractions: black-green for Enlightened team and black-blue for Resistance team. 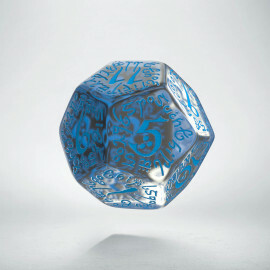 Dice are decorated with Ingress iconography.